Most of us are sitting, driving or standing for the greater part of the day and our hips bear the result: they’re tight and tense. We also tend to hold a lot of mental and emotional stress in the hips, which increases the stiffness. This 3-hour workshop will focus on opening the hips in all six directions, working through tightness and tension – and opening up your yoga practice to new levels! We will briefly review how the hips function and why they get so stuck. With this information, we will start by moving to warm the muscles, fascia and joints of the physical body. Then we will go slowly, gradually, deeply and subtly into the hips from different directions, using asana (yoga poses), mantra (sacred sounds) and pranayama (breath work). 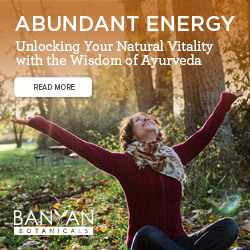 Unique to this workshop, we’ll also bring more attention to the chakras (the body’s energy centers) and the psychological qualities that may be blocked due to correlating tightness in these areas. Be prepared to move. Be prepared for some long holds in poses as we allow a true stretch that permits any suppressed mental/emotional junk to be released from the body. Lastly, be prepared to experience more space, freedom and happiness in your hips, body, and quite likely, in the mind! 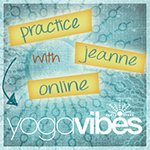 This will be Jeanne’s second visit to InYoga with her signature workshop; it’s so popular, students repeat it each time it’s offered! Jeanne is a mentor to many of your InYoga instructors. Please join our friend and teacher Jeanne Heileman for this fun, challenging and rewarding workshop.